We would like to express our utmost gratitude and love for all of your generous donations on our GoFundMe page (Now Closed). 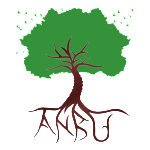 Your contributions have assisted our purpose of further establishing A.N.B.U. through program and website development. Your loving contribution will continue to go towards start up expenses such as: program development, administration, brochures, consultants and etc.